The most elegant and cultured midfielder England has ever produced? Glenn Hoddle, of course. It’s absurd that Hoddle won 53 caps for his country, especially when considering that a vastly inferior player such as David Beckham has more than twice that amount. But such was – is – the English mistrust of mercury. We never have figured out how to integrate brilliant individuals into a team. I digress from the headline but to make a point: Barry Davies is Hoddle with headphones, a brilliant performer who never quite got his due. Where did the great English football commentators go? The 2010 World Cup, a dismal failure for both BBC and ITV, drove this point home with the force of a Hoddle volley. Jonathan Pearce has lost his spark and now sounds near-suicidal. Clive Tyldesley was bullied at school, surely, and rarely rises to the heights of John Motson (more on Uncle Motty later). Peter Drury talks way too much and much of that talk is infuriatingly patronising, not to mention staged. Guy Mowbray is vanilla. Ditto Steve Wilson, although Wilson is preferable. Thank Christ this post is about TV commentary only, or I’d be forced to mention Alan Green and his poisonous mouth. Davies spent too much of his career as John Motson’s wingman, the grounded Goose to Motson’s squeaky-voiced Maverick. I’m a big Motson fan, even if he did steer his own career towards self-parody, quite deliberately – the damned sheepskin! – and went on for too long. No thanks to shoddy treatment by the BBC, Davies quit football somewhere near the top of his game; Motty became Statto. 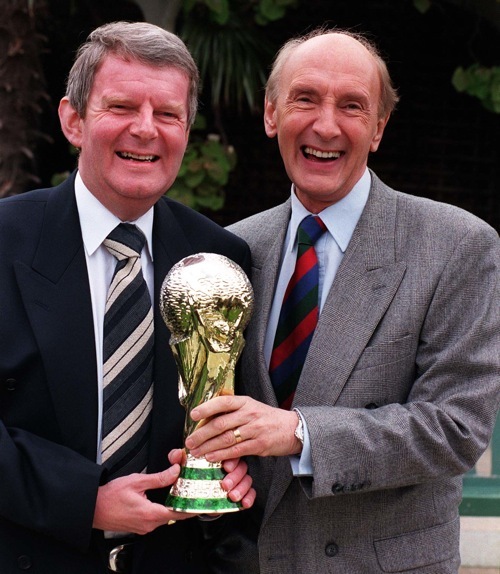 In terms of CVs, Motson was more successful than Davies not because he was a better commentator, but because he was more of a ‘character’, and blessed – if that’s the right word – with a more distinctive voice (Rob Smyth put it best: ‘Motson spoke like someone whose mouth had been invaded by Chewits.’ Brilliant). Motty was also more clubbable, making obvious efforts to stay on the good side of managers and players. Motson slyly cast himself in the drama, much as Nick Broomfield puts himself into his films, whereas Davies maintained an air of cool detachment. Which isn’t to say that he lacked passion, as the Bergkamp clip above shows. So let’s hear it for Bazza Davies and all those ‘Lovely goals!’ he talked us through. As the standard of commenting continues to slide, so his reputation grows. The best memory I have of Barry Davies is his commentary of a brilliant Di Canio solo goal against Arsenal in 1999. One of the most elegant and cultured midfielder Germany has ever produced? Mehmet Scholl, of course. It’s absurd that Scholl won 36 caps for his country, especially when considering that a vastly inferior player such as Andi Möller has more than twice that amount. But such was – WAS! – the german mistrust of mercury. We never have had figured out how to integrate brilliant individuals into a team. topic: compared to our german commentators, you`re still in heaven. in Germany a not too small amount of people prefers to shut off the sound. It realy is not to believe, how senseless and free from any knowledge they are babbling. I downloaded Germany v England with Guy Mowbry and Mark Bright as commentators and I think they’re pretty good. 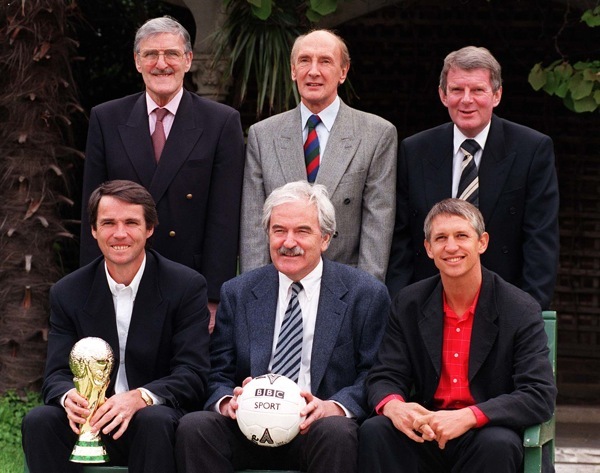 The Dutch NOS, our BBC, has had some great commentators over the years but most’ve them have gone. There are only 2 good left ones really but they IMO don’t match the ones of the past. Always liked Barry Davies. Used to like Motson but he has now turned into a shameful parody of himself and is increasingly senile. Steve Wilson is the best of a bad bunch for me at the moment. @ David – Yeah, Wilson is fine. A bit bland but at least he has no ego. I thought you’d forgotten his best moment – gb v germany in the hockey – but no. It is symptomatic of the demise of broadcasting as a whole that cultured intelligent commentary and analysis has been replaced by monosyllabic ‘names’ who add nothing. Refuse to do research and leave us grasping for the ‘good old days’. Brilliant article. Strangly enough I’ve heard another bit of Barry Davies commentary for that Bergkamp goal as shown above. (http://news.bbc.co.uk/sport1/hi/football/world_cup_2010/8711037.stm – at the 3:00 mark). This one I feel also shows the magic of Davies’ superb commentary. “Alan Green and his poisonous mouth”. Heh!